The body of this sweater is moving along quickly now, and I'll be able to start the sleeves this weekend. I've just completed the fourth set of hip increases out of six, and there's just about five more inches left on the body. 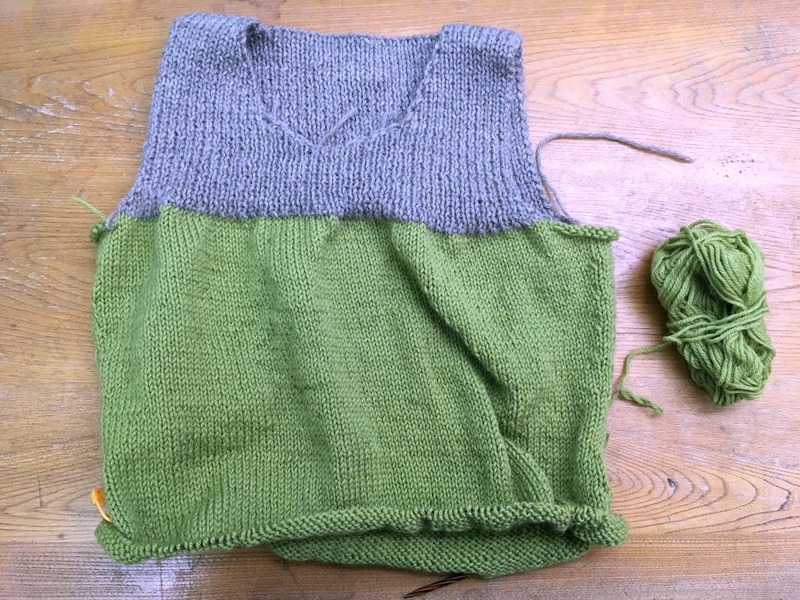 Generally, I like to start writing my sweater patterns once the body is finished and the first sleeve cap is shaped. Before that I work off of a spreadsheet, but once I know I'm not going to be making any significant changes to the design, I feel free to start putting all my spreadsheet information into an actual written pattern. What I'm really struggling with now is that I have NO CLUE what to name this sweater. Usually by now if I don't have a name, I at least have some idea of a direction to go while looking for one. Right now, I have nothing, so I'm probably going to spend the next few days trying to think of something. I think if I were a designer, I would struggle with naming them as well. Totally rubbish at even naming my projects. Your sweater progress is lovely!